Investing in precious metals has been a smart way of preserving and growing one’s wealth for hundreds and thousands of years. Nowadays, with the existence of the internet and online precious metals dealers, buying precious metals for investing has never been easier. On top of this hundreds of online retailers who sell precious metals are in existence. With that being said, not every online dealer of precious metals is created equally. While it is easy to find the gold you are looking for online, paying for said gold can bring about some challenges that you might not have ever thought of before, such as minimum order requirements and the like. This article is meant to focus on explaining the ins and outs of one of the most popular ways to pay, not only for gold, but for most online purchases. PayPal is the world’s most-trusted e-wallet for a reason, and this article will hopefully shed some light on why that is so. To buy gold bars online using PayPal you can visit JMBullion.com or Silver.com, who both accept PayPal as a payment form. When paying for anything online, the first concern for most people is the safety of their personal information. Unlike a cash transaction where you need not even tell your clerk your name, online transactions almost always require you to disclose your name, your address, and sometimes even banking information that you would not like falling in the wrong hands. Even with credit card purchases online, things can still go wrong and your information stands the chance of falling into the wrong hands. 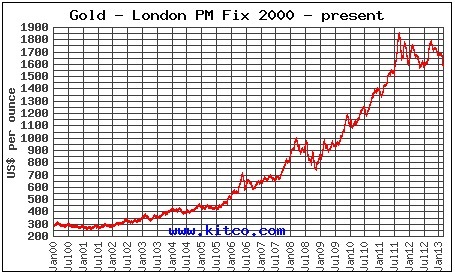 For this reason, people are more readily turning to PayPal as a means of paying for their precious metals investment. PayPal works by seamlessly linking your bank account to the bank account of the seller all without giving the seller any of your actual banking info. Because you do not have to worry about a seller retaining your credit information or bank account number, you will have significantly more peace of mind. On top of it all, even if you were to use PayPal to pay for gold from an unscrupulous seller who took your money and never sent you your gold, PayPal’s customer support team will be able to quickly and easily return you your funds and rectify the situation as a whole. When paying with checks or bank wires, you do not have this luxury after payment is received and deposited by the seller. The internet came into existence and one of its primary functions was to make the lives of those who use it easier. PayPal was formed for much the same reason and when they say they make paying for products from online retailers fast and easy, they mean it. Some of the more traditional payment methods such as checks, money orders, and bank wires are inferior to PayPal simply because of how long it takes for them to be received, processed, and subsequently deposited. When paying for gold via PayPal, your transaction happens instantaneously. Instead of sending a check in the mail and waiting weeks at a time for it to be received and deposited (assuming it wasn’t lost in the mail), PayPal allows you to complete and finalize payment all within a few minutes of the actual purchase. The combination of speed and safety are two major reasons why PayPal is such a trusted source for making online payments. Now that you know a little bit more about PayPal payments and how they operate, you are probably wondering which sites accept this payment method and which ones do not. While it is true that not every online gold dealer accepts PayPal as a payment method, most actually do. In our opinion, one of the best online retailers of precious metals who also accepts PayPal payments is JM Bullion. This retailer not only offers one of the broadest selections of gold coins, rounds, and bars around, they also boast arguably the most knowledgeable and friendly customer service staffs in the industry. If you ever have problems with your checkout or payment on JM Bullion, there is no need to worry because a polite and helpful customer service agent is only an instant message or phone call away. If you are looking for a fast, easy, and most importantly safe way to pay for your purchase of gold bullion, using PayPal at JM Bullion is more than likely going to suit you better than any other payment option at most other online retailers of precious metals.